I had a dream the other day that I started a juice bar. Yep, in this dream, I was a successful entrepreneur selling fresh mango, pineapple, orange, papaya and other exotic fruit juices as well as green vegetable juices on the island of Saipan, on the US commonwealth of the Northern Mariana Islands. But, this was no ordinary juice bar. This was a magical juice bar! Absolutely! You see, it all started back in June of 2010, when I bought a juicing machine. A few weeks before, I had started more earnestly living on an almost 100% raw food diet (nothing cooked), and decided to add a few daily servings of natural juices to my diet. Things started off well. There were just two challenges. First, I had done some research online and discovered that the best fruits and vegetables for juicing--peaches, apples, nectarines, celery and carrots—also contained the most pesticides. [Search "20 fruits and vegetables with the most pesticides" at sixwise.com]. So, I contacted Darlene and Gemma at Joeten supermarket and requested that they stock organic produce—to which they agreed. The second challenge was that I learned, as a general rule, it's always best to eat produce that's grown in or as close to the environment in which you currently live. It makes sense (doesn't it?) that the best food for people and animals living in a warm, tropical climate, is food that is native to that same climate? (Hyenas on the Tanzanian Serengeti don’t import air-flown seals for their dining needs). So, I made every effort to juice oranges, tangerines, pineapples, and greens purchased from local farmers--avoiding pesticides as much as I could. 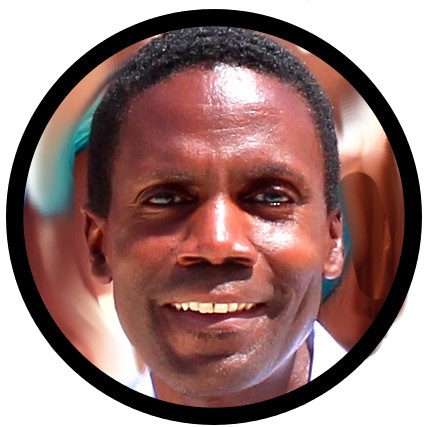 Then the idea hit me: Why not share the juicing on a larger scale with the community? Not only would it help the development of healthy eating habits, it just might create enough demand to keep the organic produce in the stores, and encourage local farmers to supply a wider variety of locally-grown, organic produce. And so, the seed idea for “The Forbidden Island Organic Juice Bar” was planted. Now, I would need a location. To lower my overhead costs, I started out with a tent at the Thursday Street Market, and Sabalu Market. I even experimented with a mobile juice-mobile so I could set a reliable schedule and visit key locations. I wanted to reach the government employees on Capital Hill, the tourists in Garapan, and at the hotels, as well as students at the college. But, why would people pay a premium price for juices from fruits that are growing in their back yard? I would need a unique selling proposition (USP)—something to set me apart. As I said, this was no ordinary juice bar. First, I used only verifiably organically-grown fruits and vegetables. Second, as a result of all the research I had done over the years into natural living, herbal remedies and nutritional healing, I added a proprietary suite of "secret ingredients" to my juices. A few drops of Echinacea extract in my "Flu-buster" citrus juice; a few teaspoons of Potassium in my “Rejuvenator” green juice; Blackstrap molasses in my "Gray-away" smoothie, and 17 others. People could request juices to address various health challenges or beauty goals. Because of the generally nutritionally-devoid content of the Standard American Diet (SAD), many people said they could feel a remarkable difference after just one serving! They kept coming back. I was on to something! This initial group of converts was great, but, I would need a reliable and steady stream of customers to make this thing viable. As word spread, my growing customer base began to included tourists who wanted a refreshing break from the Saipan heat. It included local residents who wanted to eat (and drink) a little healthier. It included athletes--trekkers, runners and bikers—who understood the need to replenish (in a natural way) the vitamins and minerals lost during sweating and physical exertion. It included new arrivals to the island who loved being able to add a healthy perk to island living. And, it also included a surprise group of unexpected, but very welcome clientele! Encouraged by an article I wrote on the Gerson Therapy (gerson.org), a proven therapy for curing all types of cancer, local doctors started recommending that their patients consume generous amounts of green juice daily to help detoxify, rebalance, and alkalize the body as part of a wholistic diet to restore and improve the depleted, acidic, cancer-prone condition of the body of the average SAD diet consumer. As a result, I developed a contingent of repeat customers whose past dietary choices had resulted in degenerative conditions for which they now sought relief and repair. That's when the magic happened! To meet the growing demand within the community, local farmers started supplying me with more organic fruits and vegetables. Local residents, blessed with unique fruits growing on their property, started selling me pomegranates, sour sop, noni, and other fruits not readily available at the local market. Rather than import produce from overseas--produce that could easily be grown here--Saipan farmers began growing more oranges, carrots, pineapples and other in-demand juice-friendly produce using organic farming methods. Export requests for “fruits from paradise” came from all over the region and the rest of the world! We saw the beginnings of a sustainable business relationship and streams of reliable income for farmers and average citizens alike. A local, consumer and tourist-driven agricultural boom took place to meet the demand. Organic fruits and vegetables were everywhere! Other juice bars sprang up to compete. What I call “the Saipan Healthy Living Renaissance” created a local pool of experts in sustainable, organic “paradise farming” techniques who marketed their knowledge around the world. Yes, there was more happening than just the success of a single business venture, or the beginnings of a new (or, more accurately, return of an old) industry. There was the change in attitudes and beliefs within the society, as well as without and about the society. It was a natural fit. Tourists were intrigued by the "natural living, back to nature, stay healthy" identity that Saipan was developing. Meanwhile, residents were pleased that their life in "paradise" came with the added perk of returning to a more natural, sustainable and healthy way of life that had always been part of the culture. Boosted by positive word of mouth and mouse, as well as strategically-placed and publicized testimonials of health and wellness, Saipan, already valued by tourists as a naturally beautiful tropical escape from the literal, figurative and bodily congestion of fast-paced, high-stress urban living, developed a reputation as a place for rejuvenation! Tour agents in other countries promoted this new aspect of the island to appeal to the medical tourism, sustainable tourism, paradise tourism crowd. As more and more oil spills and pollution desecrated more of the earth’s air, water and land, there was growing interest in escaping to locations relatively untouched, and which offered a taste of pristine living. The Forbidden Island Juice Bar was at the center of this renaissance, and it grew exponentially. When the demand for our juices exceeded the capacity of a single booth and a mobile operation, we moved into a physical location. Then came another and another. We started offering juicing books, information pamphlets, demonstrations, classes by alternative healing practitioners, educational school visits and more. We followed up with fruit-juice inspired products: carrot cake made from the pulp of local organic carrots, and sweetened with local honey, as well as other incidental products. We even offered tours of the farms and groves so people could see where and how their fruits and vegetables were grown and harvested. Rather than compete, savvy entrepreneurs decided it was better to go with our proven strategy, and the requests for franchises poured in. Independently operated Forbidden Island Juice Bars sprang up in neighboring islands and even on the mainland, with fruits supplied in part by farmers here on Saipan, Tinian and Rota! Yes, it was a beautiful dream! This new Saipan identity shifted the connections of these islands in people’s minds from war zone to cure zone, and from sweatshops to Shangri-la! 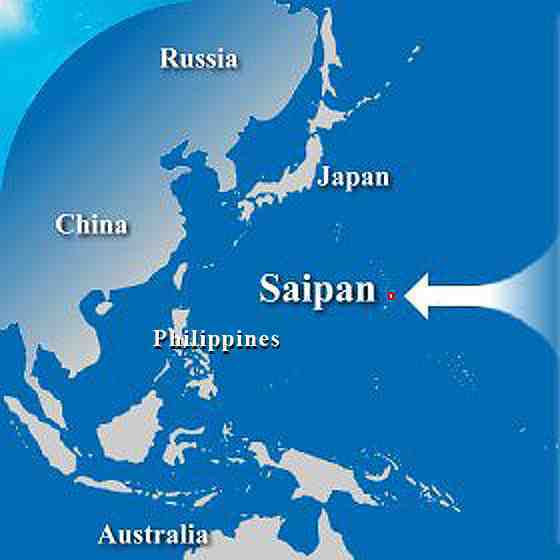 Saipan became synonymous with perfect health, unspoiled beauty, rejuvenation and natural living. It was great, I tell you! And it all started with the seed of an idea that germinated in a fertile environment, that blossomed naturally, grew organically, and ultimately bore economic fruit that changed Saipan, and then, yes, the world! p.s. The part about requesting organic fruits from Joeten wasn’t a dream. Contact the store to find out when they arrive!